Also, our individual Marketplace shop owners have access to this information to help fulfill orders, process refunds and support you. If you are a European resident, you have the right to access personal information we hold about you and to ask that your personal information be corrected, updated, or deleted. This does not include any data we are obliged to keep for administrative, legal, or security purposes. If you would like to exercise this right, please contact us through the contact information below. If you are a European resident and have an account on this site, or have left comments, you can request to receive an exported file of the personal data we hold about you, including any data you have provided to us. You can also request that we erase any personal data we hold about you. This does not include any data we are obliged to keep for administrative, legal, or security purposes. Additionally, if you are a European resident we note that we are processing your information in order to fulfill contracts we might have with you (for example if you make an order through the Site), or otherwise to pursue our legitimate business interests listed above. Additionally, please note that your information will be transferred outside of Europe including the United States. 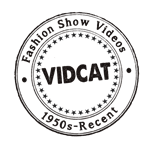 If you would like to: access, correct, amend or delete any personal information we have about you, register a complaint, or simply want more information contact us Vidcat, New York NY, U.S., Tel. 1-866-843-2282 or via Email on our Contact Form.